This book attempts to redefine the novel by combining narrative with an imagined anthropological record. 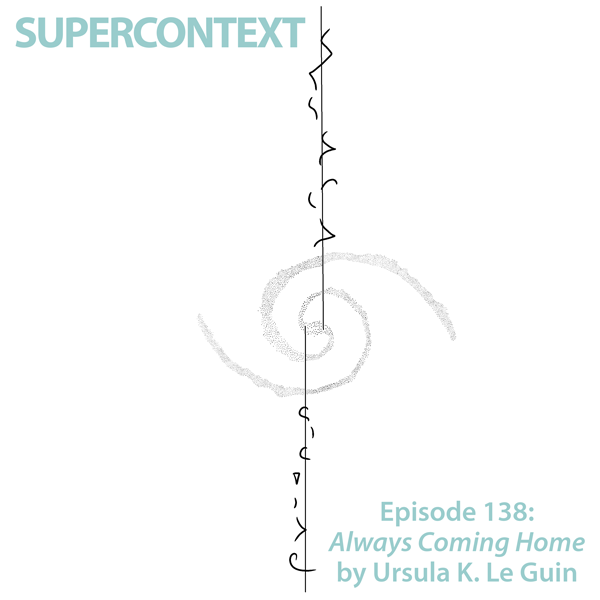 We discuss Le Guin’s background and mission, as well as larger questions about cultural misappropriation and utopianism. This entry was posted in Supercontext and tagged Always Coming Home, anthropology, copyright, cultural appropriation, culture, Don DeLillo, dystopia, episode, fantasy, feminism, imaginative fiction, industry, Margaret Chodos, Native American, novel, podcast, publishing, science fiction, Todd Barton, Ursula K. Le Guin, utopia on January 4, 2019 by Charlie.